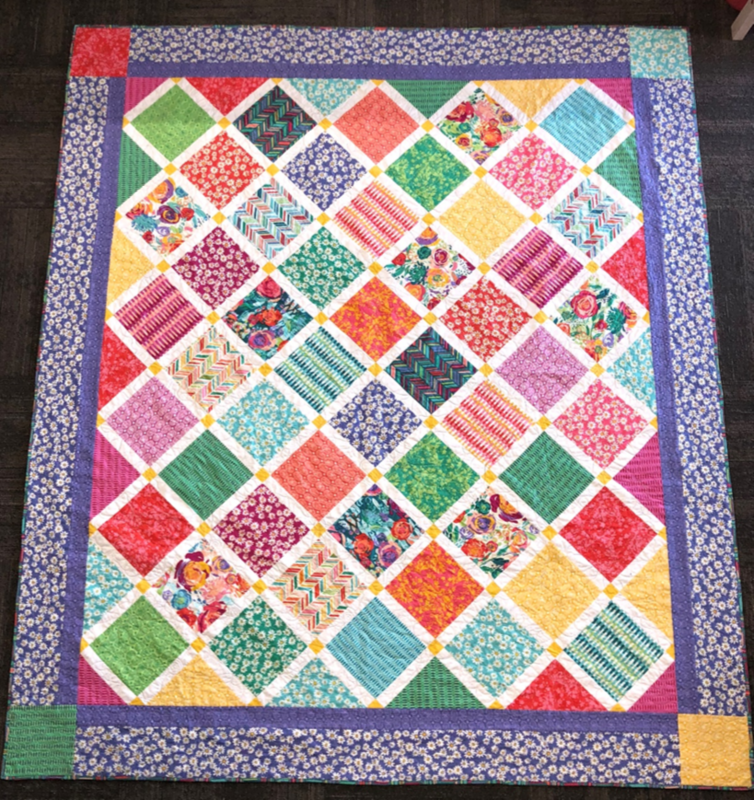 This quilt class will teach you how to piece a quilt on point and how to place side-setting triangles and corner-setting triangles. Not as easy as it looks. This quilt is layer cake friendly, which we love… or if you want the work done for you and you love really bright, happy fabric you can choose to buy our kit with all fabrics and pattern ready to go. 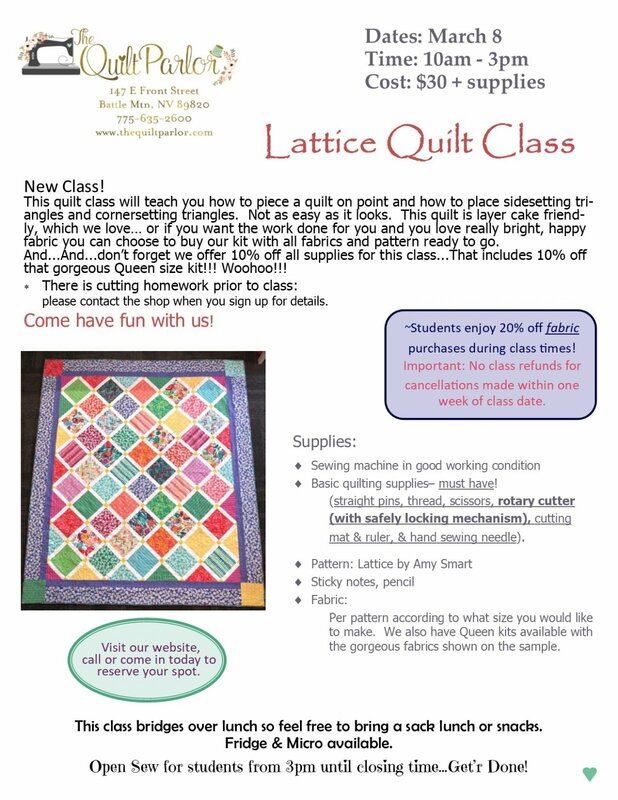 And...And...don’t forget we offer 10% off all supplies for this class...That includes 10% off that gorgeous Queen size kit!!! Woohoo!! !